November 10 is Los Santos Uprising Day in Panama. 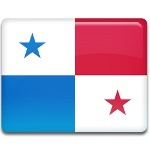 This public holiday commemorates the beginning of Panama's struggle for independence from Spain in 1821. The event that sparked an anti-Spanish uprising in La Villa de los Santos is known as Grito de La Villa de los Santos or the Gesture of Rufina Alfaro. Rufina Alfaro was a young woman who lived in a small village near Los Santos. On November 10, 1821 she led a group of Panamanians, shouting “Viva la Libertad” (Long live liberty). People armed with sticks and stones seized Spanish barracks without spilling a single drop of blood. Some people argue the existence of Rufina Alfaro and claim that she is merely a legend generated by the popular imagination. Be that as it may, the uprising in Los Santos did occur. After the uprising, citizens of Azuero Peninsula declared their independence from Spain. Although in some parts of Panama this act was met with disdain, it had a great influence on Panama's independence struggle. Los Santos Uprising Day is one of Panama's Fiestas Patrias – holidays dedicated to the country's struggle for independence. It is widely celebrated throughout Panama with colorful parades, folk music and dance, cultural events and other festivities.